A listing for a Google Pixel 4 device has turned up on Geekbench that shows some surprising details and unimpressive benchmark results. The smartphone, which has the codename “sargo” associated with it in the Geekbench post, will apparently offer 2 GB RAM and an octa-core processor with a base clock of 1.80 GHz. It seems like there is some confusion brewing over Google’s future smartphone releases. 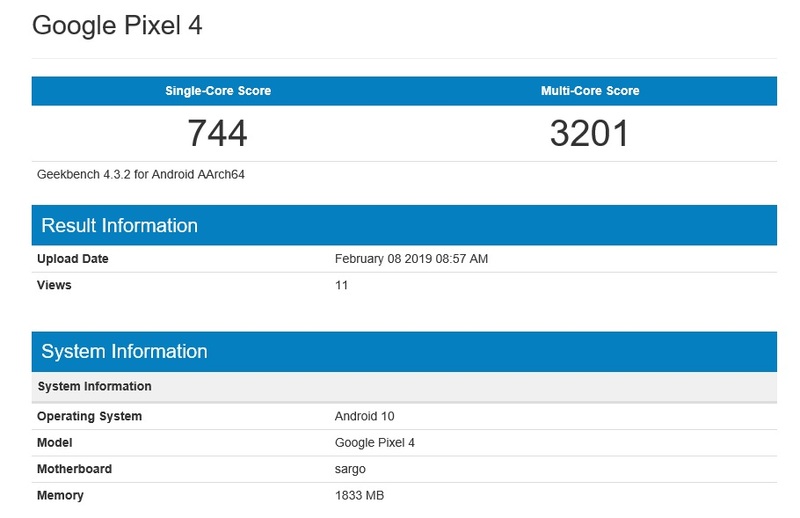 The codename “sargo” has already been linked with an expected Pixel 3 Lite device, but now the same codename has appeared on Geekbench in a benchmark listing for the Google Pixel 4. It's believed the latter device will be a flagship along the lines of the best efforts from Samsung and Apple, so the Geekbench information is unusual, to say the least. Of course, it is possible that Google is preparing a whole series of Pixel 4 devices just like Samsung has with the upcoming Galaxy S10 line-up. But with just 2 GB RAM, a single-core score of 744, and a multi-core score of 3201 points, this is definitely not a description of a flagship-level smartphone. However, one bright spot is the inclusion of the Android 10 OS. 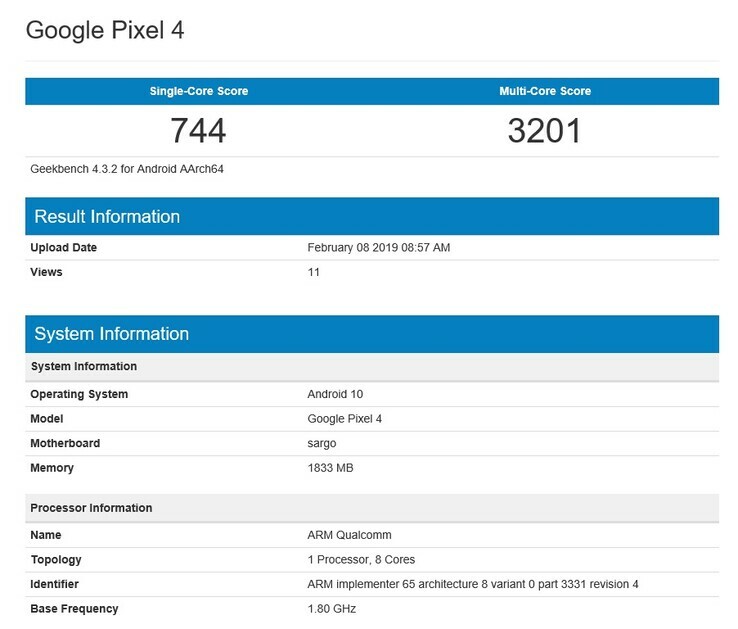 NashvilleChatterClass, who spotted the Geekbench listing for the Google Pixel 4, has speculated that this current post could be an error, as many reports concerning “sargo” have pointed to the Google Pixel 3 Lite. Also, it would not make sense for Google to release its Pixel 4 smartphone with such basic specifications, especially when it is more likely this device could feature 6 GB RAM and a Snapdragon 855.